My twin sister, Anitra Nottingham, is doing a masters by research in the Faculty of education at the University of Melbourne. Her thesis is about graphic design education. She’s been struggling with the prescribed coursework lately, but struggle can be a good thing – as she tells you in this post. I hope you enjoy it as much as I did. As those of you who follow me on Twitter and do their homework late on a weeknight might already know, I have been in the throes of writing a paper on Derrida for my Critical Theories subject. If you had told me early last week this would be one of the most rewarding learning experiences I’ve ever engaged in, and that I would come to kind of love Derrida (in a kind of hating him kind of a way), I would have smacked you. I hated Derrida with a red-hot flaming passion of a thousand suns for ooh, about 2 weeks. Then something happened while I was crossing the road on Friday and it all clicked for me. I got it. Talk about a clichéd threshold moment. I now describe Derrida to the Thesiswhisperer as my B**** in capital letters. Yes, it’s not nice, but that’s the truth and don’t tell me you haven’t felt that way about a philosopher/scientist/designer/whatever when you figured out their trick (or one of them anyway). I might get his idea of “free play”, but it doesn’t mean I have to like it, or Derrida – or speak nicely about him. This experience has taught me two things. First. You don’t have to love your subject in order to go through the pain of learning it. It’s OK to hate your subject, whatever it is. I mean really just want to reach-through-time-and-belt-the-old-french-guy-over-the-head-with-your-paper kind of hate. Hating your topic of study doesn’t mean you can’t, or won’t, learn from it. Hate is actually kind of motivating. The second thing I realised is this hate is a different kind of hate than the “I scorn your ideas because frankly they sound stupid” kind of hate. That kind of hate is the kind of thinking people like Tea Party activists engage in, i.e. “I think your ideas fundamentally challenge my way of thinking. Therefore I will know them superficially enough to sound like I know what I am talking about – and then I shall dismiss them”. The hate I was feeling about Derrida is motivating instead of dismissive. It is what you might call the: “maybe I am too stupid to figure this out” instead of “You are definitely stupid for me to bother really figuring out” hate. The “Maybe I am stupid” hate is uncomfortable. It emerges when you have the sneaking suspicion that that the person’s idea is important, but you might not like what it has to tell you. This second kind of hate is what drove me nuts, because I felt stupid, and no one likes feeling stupid. Understanding that I hated Derrida because potentially I was too stupid to figure him out, and maybe he would challenge my ideas, is very helpful. It makes me want to know, to not be stupid. It’s a feeling I now think I should pay attention to, because honestly, sometimes, there’s a danger here for me. It’s all too easy to indulge the first kind of hate, when it’s the second kind of hate, the hate which is difficult, that can make us dig deep enough to really understand. Of these two kinds of hate (now I am setting up one of Derrida’s “binary opposites”, but never-mind!) one is productive and the other isn’t. The hating-enough-to-gain-a-superficial-understanding will only get you so far. The other kind, which drives you to challenge and battle an idea until the very end, is a more informed position. Using this hate the right way might change how you think profoundly. That’s what makes it scary, and that’s what makes it worthwhile. So how about you, who’s (or what) ideas or work have you hated? Do you think you hated them enough to really understand them? Is doing a PhD a bit like a reality television contest? This entry was posted in Getting things done and tagged derrida, hate, learning, philosophy. Bookmark the permalink. « Time – can you ever really ‘manage’ it? Bourdieu and Foucault. Both pains in the a*rse to read, because of the denseness of the English translation, but when you get into what they’re saying, pretty awesome. Agree with Bourdieu summation; Focault I’m kind of liking this month. I’m told the trick to Bourdieu is only to read the last sentence in every paragraph. Never tried it, but it does say something about his writing that you need a rubric to even approach it! For me it’s Bhabha! I find his work utterly impenetrable! For me its Freud. Not so much because I don’t understand what he is saying, but because I don’t understand why he’s saying it. I think it’s highly likely that he is nuts. Still, I can’t help using some of his stuff when it suits me. I have to post a coda really. I think hate has turned to love with Derrida, this might take a while to work itself out of my system. Really? interesting combination of thinkers, link please! And yes, I must one day tell the whole plagiarism story because it was kind of my fault. But that feeling is not nice is it? I understand how it could stay with you for a long time. BTW Derrida a little scary-looking but really not bad at all.. I think this ‘hating enough to understand them’ is very important, because years down the track you may actually find your ideas changing. You may actually go full circle and learn to love the photogenic Derrida. Furthermore, love can be terribly blinding. It can often take years to see the faults in the theorists we love and then the relationship can turn, very, very nasty. On reading John Law spaces and objects he bamboozled me with the obscure language of euclidian spaces. When i first attempted Latour’s Pandora’s hope, i remember asking my supervisor if i really had to make sense of it (he kindly said no). However on reading it now, its actually made sense- and yes it is useful. Just needed me to stand on my head and relate to a world differently configured. And like Inger my first read of Deleuze and Guattari A thousand plateaus had me shaking my head thinking everyone who cited them suffered from the emperor has no clothes syndrome. My reading buddy I recall suggested they must have been smoking something or eating special cookies while they wrote that one. Also I only now really read Foucault and well. Maybe I’m doing something wrong. Because I was told he was so difficult to understand and I just find him to be rambling and good and all but not really ground-breaking. Hmm. Probably because I’ve read so much by people influenced by Foucault that I read him out of his context in which he of course was ground-breaking. Still. Being under-whelmed – also not nice. Barthes for me with a love/hate relationship. You think you’ve got it then it slips out of focus. As yet, I managed to get past a few words of Derrida, but if you like/hate him, I strongly recommend Catherine Malabou. And Hegel. Hegel, Hume, Kant-the absolute trinity from hell-their binary worlds are so irrational, when applied to same species-humans its not funny. Between Creator and Creature, Angels and humans maybe, but same species? Absolute rubbish for those of us on their Other side of the dichotomy. Not that we dont hear what they are saying, but its the absolute piacle of rubbish in homogenisation! example? you could read an annotation of Jung ..
the shadow bla bla bla, can drive the psychological self to be attuned to perdition, the affinity in turn does not demand a continuous struggle for virtue. bla bla bla this can be rather appealing to the majority. being evil can make you worthless. but it’s a lot easier than being good. so, a lot of people choose to be bad because it’s kinda easy. Looks like you’ve almost deconstructed the word ‘hate’ in this article (so you probably are starting to think like Derrida)! Once I understood Derrida (finally) I was very drawn in by his thought, especially the concept of Differance. But it amazes me the extent to which many academics dismiss Derrida as they figure if they can’t understand him, then no one must be able to. One of the tricky things about Derrida is that you can’t really try to refute him until you’ve followed him down the rabbit hole, so to speak. And then you realize he might be onto something. As for the ‘hate’ thing for me, it’s Chomsky. At times he seems brilliant, other times inflammatory. Socialist, then populist. I’ve got an ambiguous situation going on with that guy. derrida has been much derided although so many of his detractors warmed their pots of soup at his fireplace. seems he is despite all the criticism the most important philosopher of the 20th century. he not only changed our thoughts the man virtually transformed our very vision and imagination. all the advances of the last 1/3rd of the previous century have their source in his so-called wordplay. the artist at play resembles the child playing with his legos and it is a beautiful site of creativity since there is no bloody sick psychology involved. jusr pure and simple passion and zest in the moment. 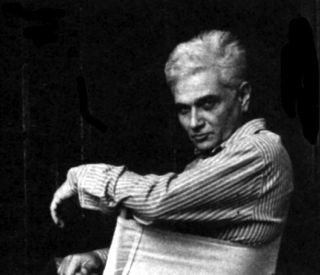 I also had to get to grips with Derrida, and wrote my own little love-hate post: https://kvanderwielen.wordpress.com/2014/12/07/9-fun-things-about-reading-derrida/. I find that the worst thing is actually reading on Derrida, not Derrida himself. A lot of the scholars start to mimic Derrida’s style and then end up not saying much of anything (I’m desperately trying not to do this myself). Hate has helped me too though, hate and exasperation. Other than receiving calls, you can also connect your Bluetooth to a computer and listen to your favorite music. Chances are very good the only way you’re going to do this is by farming turtles. It’s sad that so many people hate what they don’t understand, simply because they don’t understand it, especially in an environment of LEARNING and struggle to LEARN. What’s even sadder is that these same people are getting degrees which supposedly signify “mastery” in the very areas they “aced.” I usually not one for the lowest common denominator argument, but we live in a climate where people are entitled to “expert” degrees simply because they want one, and not because they actually deserve one.